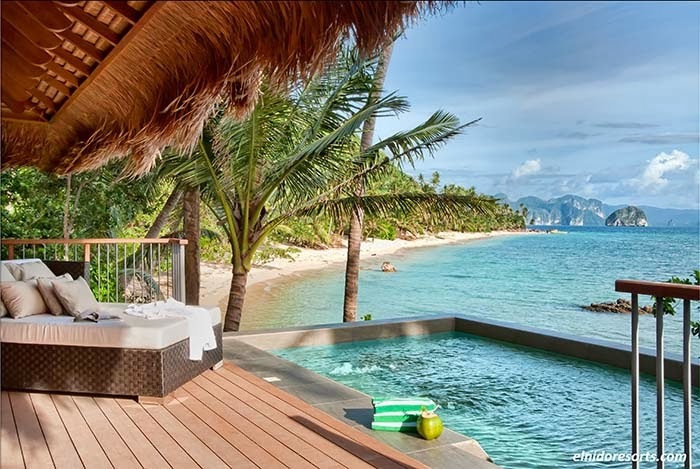 Tourism is booming in Palawan, Philippines, leading Ayala Land Inc. (ALI) to move forward with plans to expand El Nido Resorts in 2014. Ayala Land Inc. owns and operates El Nido Resorts in Lagen and Miniloc Islands in Northern Palawan. A sharp increase in tourism has filled the hotels nearly 100 percent during peak season. What is notable about ALI's approach to expansion is their concern for respecting the environment. In 2007, El Nido Resorts was recognized by Travel+Leisure Magazine as one of 15 Favorite Green Hotels. With their obvious concern for the environment, the company is pursuing the expansion in a very responsible way. The expansion will allow the hotels to accommodate more guests. Expansion is very important because the tourism industry is a major source of income for the islands, but they are proceeding gradually. As ALI chief operating officer Bernard Vincent Dy stated, "The gradual increase in rooms will ensure that the resort project will continue being respectful of the environment." According to The Department of Tourism, up to 10 million foreign tourists will arrive by 2016. This has stirred investor interest in hotels and the tourism business. ALI and other companies continue to build to meet the demand. ALI owns El Nido Resorts as well as Fairmont and Raffles Hotels, Intercontinental Manila, Cebu Marriott, Raffles and Fairmont Makati, Holiday Inn and Seda Hotels.